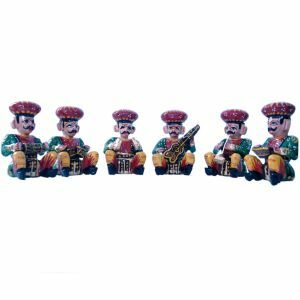 This handcrafted Rajasthani set of 6 musicians is made of fine termite proof light weight wood. Each piece is beautifuly hand painted. The set contains musicians playing Dholak, Sitar, Tabla, Manjhira, Sarangi, Shehnai etc.